Pure Motive Pricing Seminar – Joe & Rick start your day with an exciting seminar presentation that will fill in the gaps about how to price and present your services. This will be an instant classic. This meeting only has room for 500 people so sign now up so you can be included. Service Contractor Sales Town-hall – $7 million dollar sales person Rick Picard and ContractorSelling.com CEO Joe Crisara turn over every rock and help you and your people with real life answers to create rapid revenue and profit breakthrough and growth. 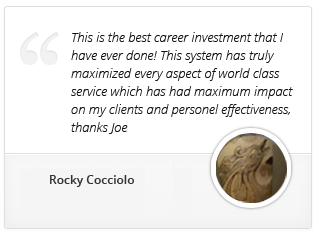 Bring all your sales price books, software and materials and Rick and Joe will personally help each of you to create your finest presentation ever.. 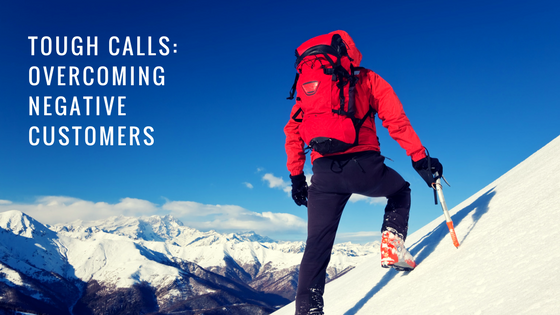 Guerrilla Sales Talk – After Dinner (food is on your own) Rick and Joe hang with all our friends to continue with conversations and mentoring like you’ve never experienced. Creating interest and desire, getting all decision-makers involved, bringing every opportunity to a conclusion, NOTHING will be watered down. You will get black and white answers to all your question. BONUS: We have arranged for you to get all the audio and videos from this day to have AFTER the day is over so you can listen to this timeless wisdom on your phone on the way home or in your truck between calls. How much does all of this interactive learning with the best cost? The best part is that all of this is included with your ticket to attend the 3-day Contractor Leadership Live Event! 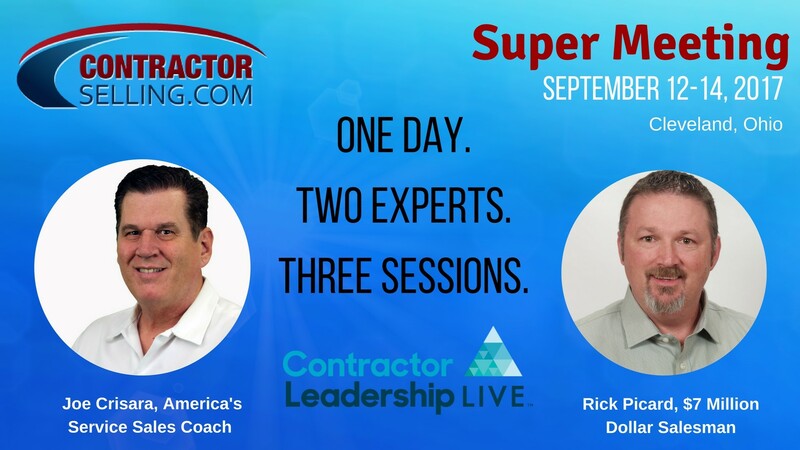 Our session is leading off the entire Contractor Leadership Live conference and I want YOU to join me there. So to summarize, you get the entire day with Rick and Joe PLUS you get 3-day access to all the other learning sessions and the CLL exhibit hall all at one bonus price! It’s like getting two world class events with one ticket! PLUS , as I mentioned you get a 50% bonus discount off your pass to this event as well! Again when you register to attend, to get the 50% discount use the code: EGIA20. Early bird pricing lasts only until August 25th so sign up right now to get the best price. ​P.S. Rick and I can’t wait to meet, teach, mentor and learn with you that day. See you in Cleveland!